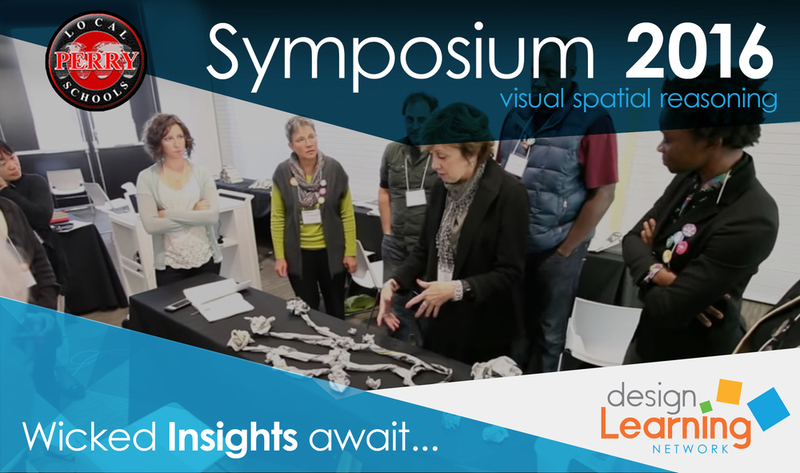 In collaboration with Perry Local School District, please join us at the Design Learning Network's Symposium 2016 May 6-7th! Discover wicked insights into empowering learners with visual-spatial reasoning skills: the capacity to visualize ideas, transform spatial patterns into meaning, and articulate innovative connections via their mind's eye - all essential elements of the Design Learning Process. Educators, designers, and visionaries engaging in the latest research, best practice, and science behind the creativity, the brain and learning. Copyright © 2010-2015 Wells-Papanek M.Ed. All Rights Reserved. The Design Learning Network links like-minded members and international partners with organizations such as the School of Art & Design at the University of Lincoln in the United Kingdom, Design Management Institute, National Art Education Association, Design-Ed Coalition, and Industrial Design Society of America. The ultimate goal of the shared efforts between network partners and members is to create effective and sustainable design learning links between primary, secondary, and higher education students and teachers on a global scale. The overarching objective of the network is to cause a wide cross-section of disciplines to engage in meaningful design learning experiences within a network of activities such as design learning challenges, workshops, and symposiums. Grounded in an action research approach, the intended outcome of the network’s efforts aim to result in overall enhanced educational experiences for all educators and students involved at a significant level.